what is slot to right of gear shifter? I just bought my 2013 Honda Accord LX about 2 weeks ago. 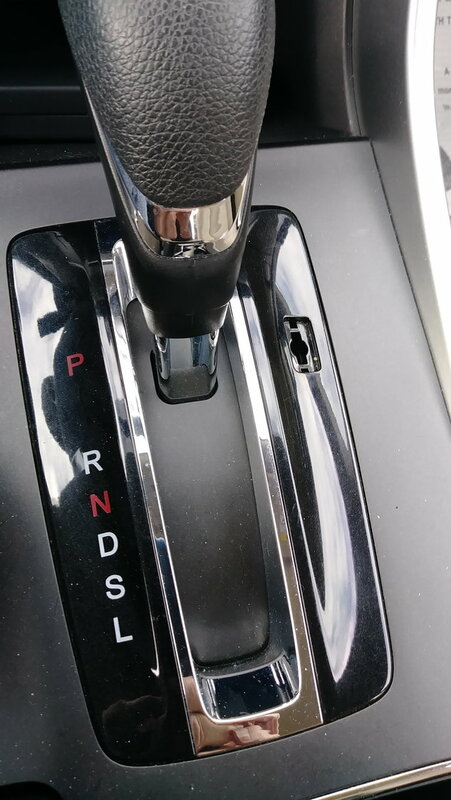 To the right of the gear shift, I see a small opening and I do not know what its purpose is. Can someone tell me? Also, is it supposed to have a small cap on it to cover it? He knows where you live! Re: what is slot to right of gear shifter? You're missing the cap, but if you insert your key it will let you freely move the shifter into Neutral or whatnot to tow it. I got one today at a local Honda dealer.